The Global Ocean Circulation and Climate (GOCC) series of artworks is supported by the Artist's Resource Trust, the Council for the Arts at MIT, and by a community of backers via Kickstarter. I sincerely thank these organizations and individuals for their generous support of art, science, and global climate awareness. 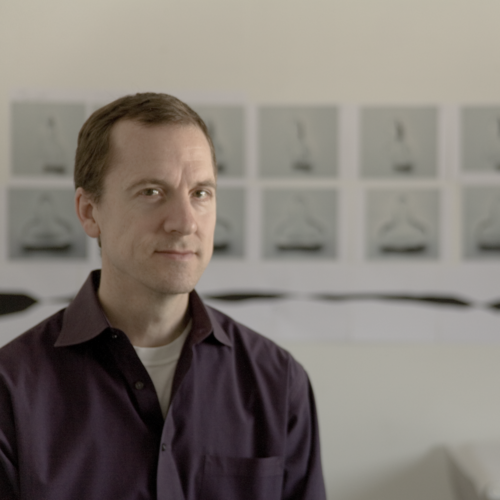 W. Benjamin Bray is an artist of oceanography and new media. His works range from experimental renderings of ocean science and climate change to site-specific installations in the Arctic, utilizing photos, maps, video, and often glass, ice, and water. Bray's approach generally abandons the pursuit of a formal, logical representation, and involves purposeful ventures that logical representation would discourage. He has exhibited works in Massachusetts, New York, Rhode Island, Wisconsin, Texas, Maine and Japan and completed residencies in Svalbard, Norway and at Vermont Studio Center. Bray is the recipient of artist grants from the MIT Arts Council, Vermont Studio Center, Corning Museum of Glass, Artist's Resource Trust, and a research grant from the National Science Foundation. He frequently serves as Visiting Artist and Critic for the Glass Department at Massachusetts College of Art and Design, and recently established the Katádysi Art Gallery at MIT. Bray holds an MS in Atmospheric Science and Oceanography from Penn State University, and a BS in Atmospheric Science from Texas A&M University. He has studied independently at Corning Museum of Glass, Haystack Mountain School of Craft, Massachusetts College of Art and Design, and Boston University.